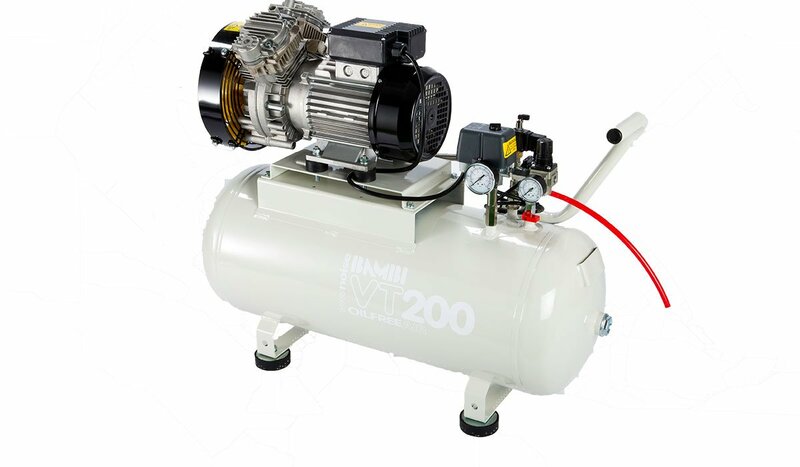 Direct Air supply the full range of Bambi air compressors, designed for medical, dental, laboratory and OEM applications. 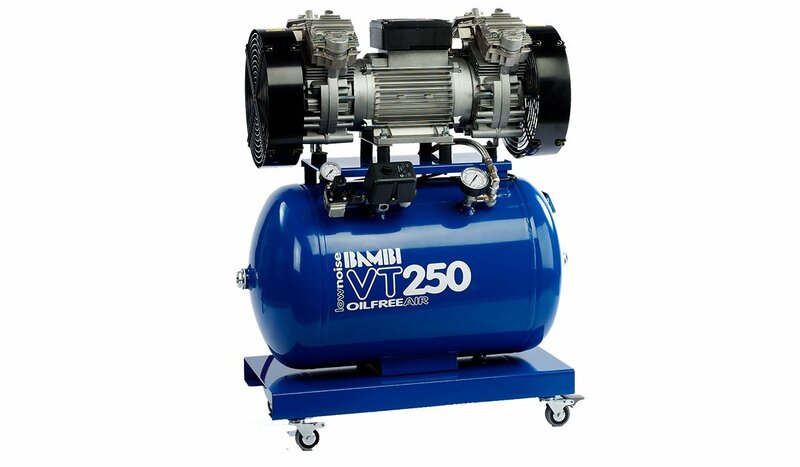 The high-performance compressors are made in Britain and offer solutions to a variety of applications. 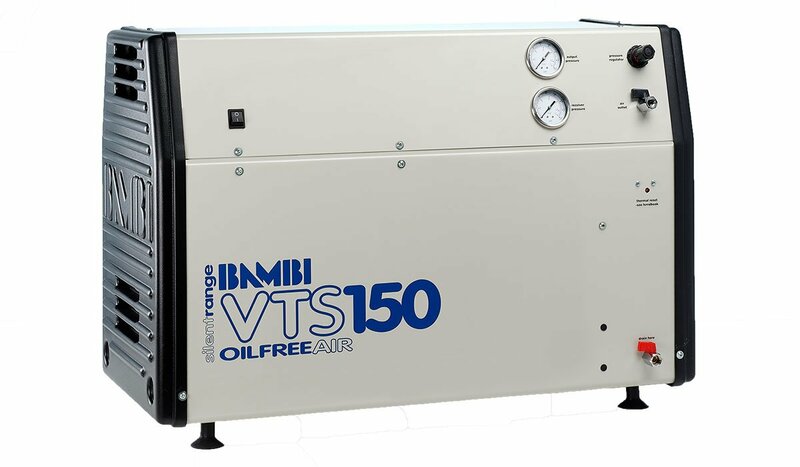 The Bambi PT range of direct drive air compressors offer ultra-low noise levels, from only 54 dB(A) and 100% oil free operation. This is ideal for: Pneumatic Control Systems, Scientific Laboratories, Staple Guns, Picture Framing, Autoclaves, Veterinary Dental Carts, Drink Dispensing, Door Opening and Exhibition Stands. 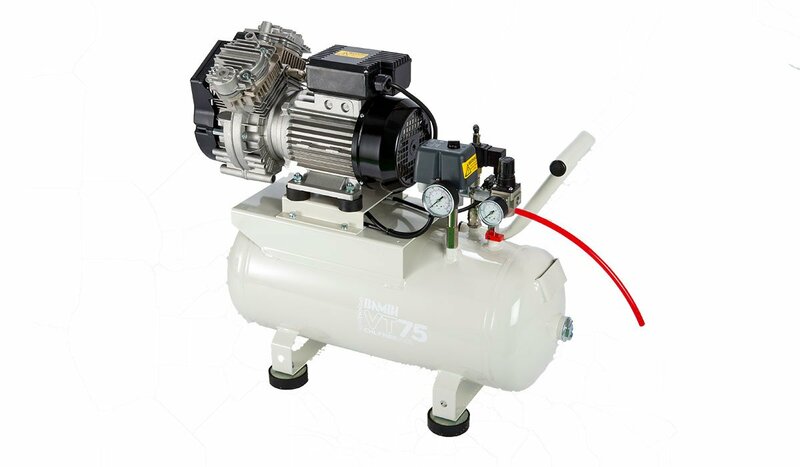 PT Compressors are available in a choice of receiver and pump formats to ensure that the one chosen is perfectly adapted to the application. 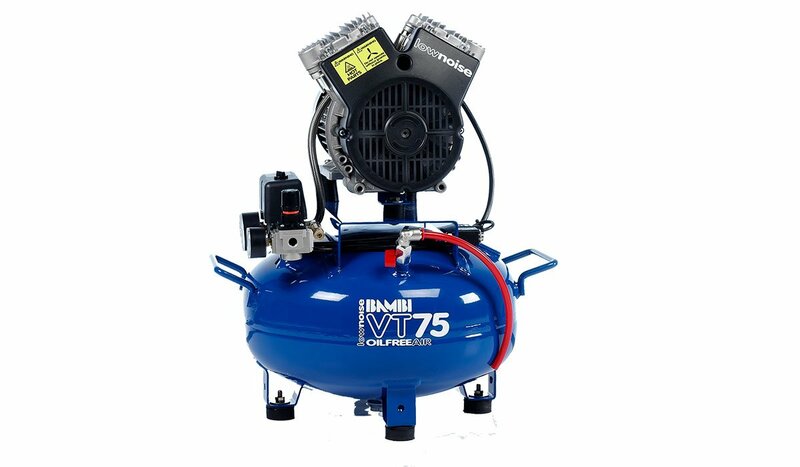 The Bambi Budget Range (BB Air Compressor) has been developed for those users where ultra-low noise and relatively small flow of air is required, with sound levels from just 40 dB(A) and almost no vibration when running. 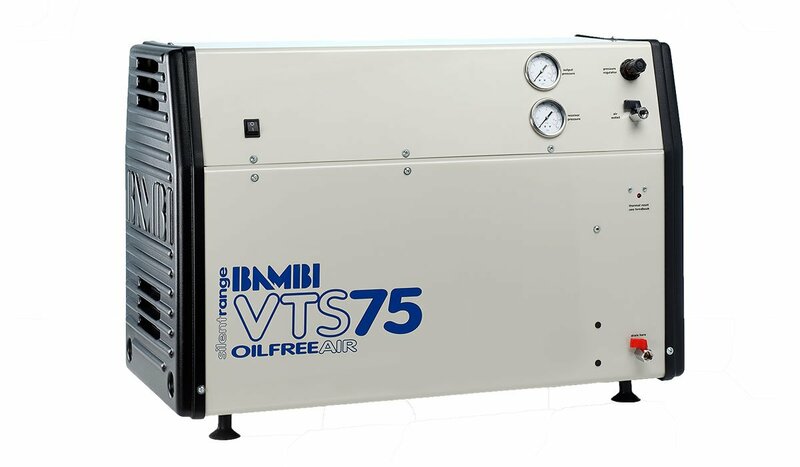 Bambi VT Air Compressors are fantastic value machines that provide Oil Free Air. 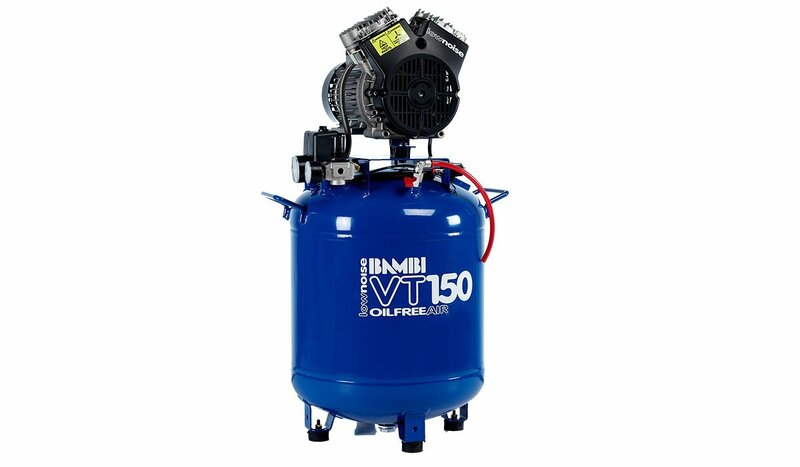 All standard models without air dryers sport a ‘soft start’ solenoid valve discharging the air pressure in the pump whenever the power is disconnected which protects the compressor from overload and extends the service life. 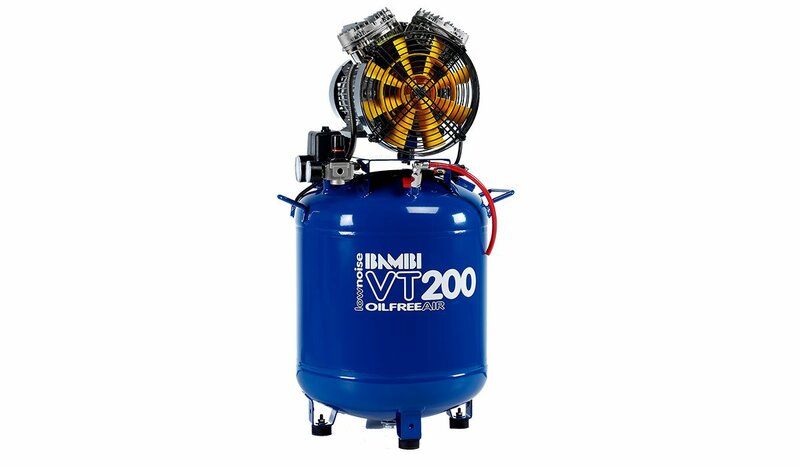 Bambi VT Compressors are perfect when you demand the highest possible air quality for critical applications such as dentistry, scientific laboratories, food packaging, pneumatic controls, hospital ventilators, drink dispensing – and anywhere when low compressor maintenance is essential. 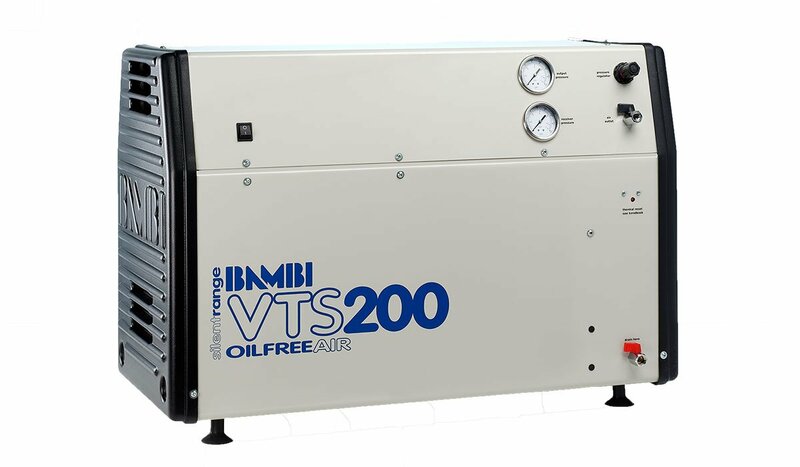 Bambi VTS compressors offer ‘silent’ oil free air, perfect for laboratories, food industry, drink dispensing, dental surgeries, medical equipment and all other clean-air critical applications. 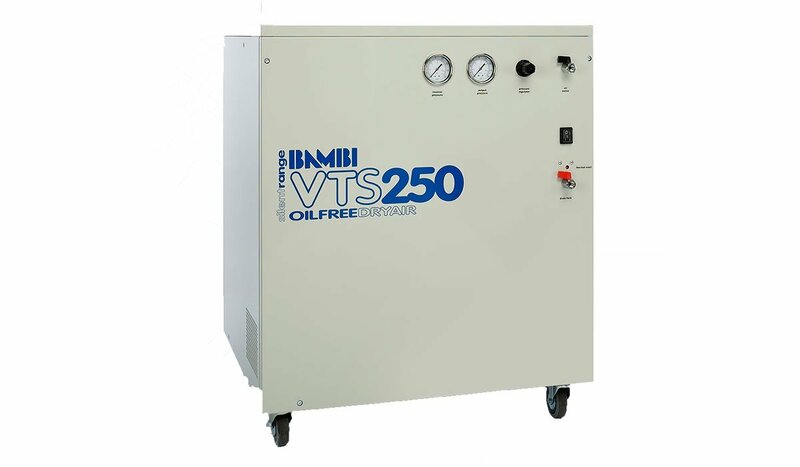 The dedicated silent range was developed for applications where the compressor needs to be sited near the point of use. 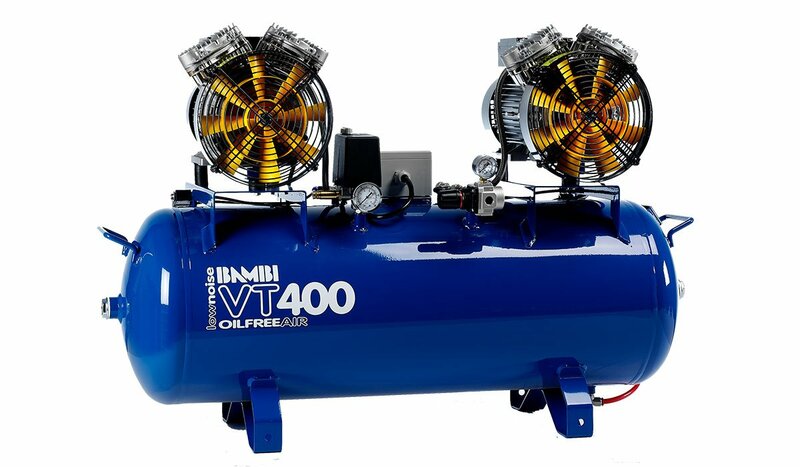 Having the same innovative features and technological advances as the standard VT models, this range delivers the highest quality of compressed air with ultra-low noise levels from as low as 54 dB(A). 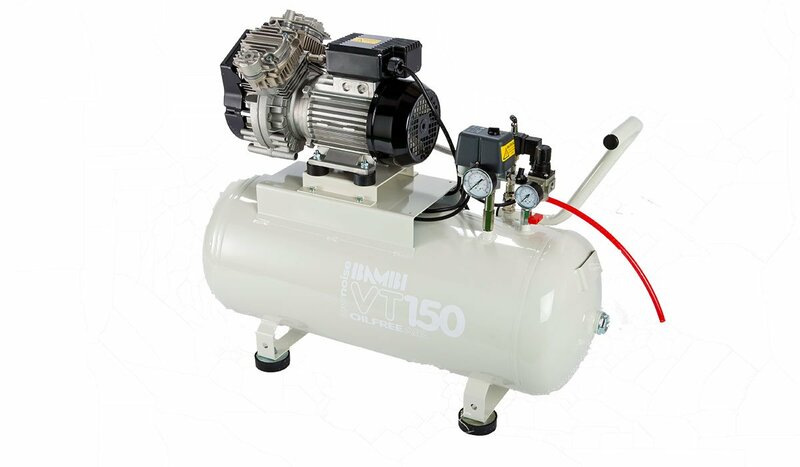 Bambi VTH compressors use the proven Vee Twin pump unit found in all other Bambi VT applications mounted on a horizontal receiver for applications where a vertical model would be too tall. 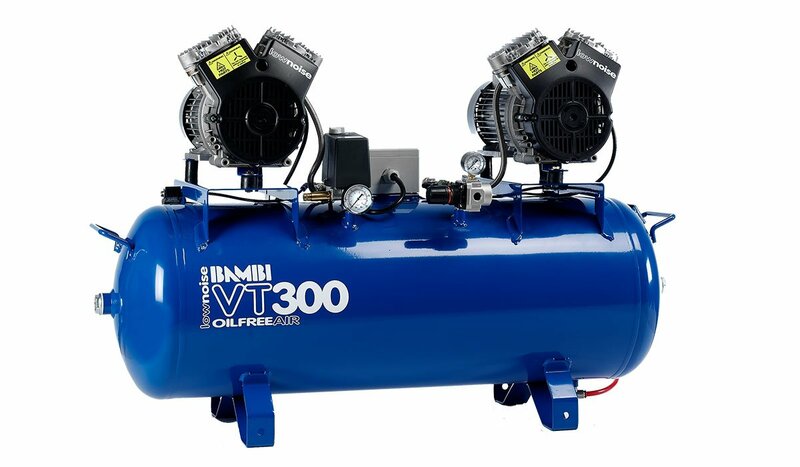 The VTH has the same advanced technical features as its vertical siblings, including a soft start solenoid valve to protect the compressor from overload, internally coated receivers to ensure that the air is contamination free and high-quality components to ensure an extended service life and low maintenance.